For the ultimate beachfront lifestyle, visit Bay Watch Resort III in the Crescent Beach section of North Myrtle Beach, South Carolina. 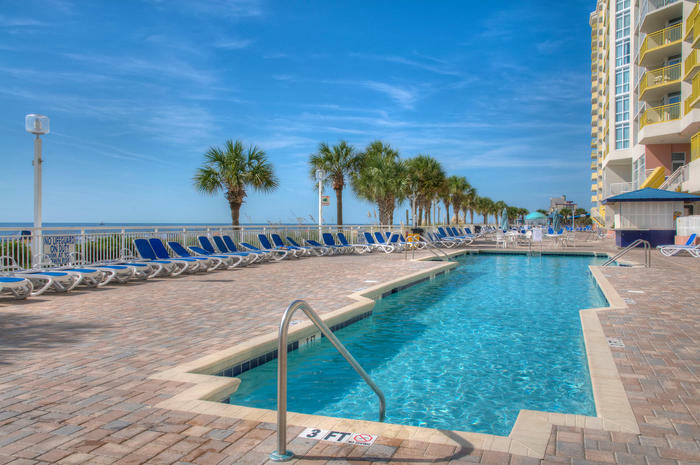 With one-, two- and three-bedroom North Myrtle Beach vacation rentals that sleep up to 10 people, this oceanfront North Myrtle Beach resort is destined to have everything your family needs for an exquisite North Myrtle Beach vacation. Beautiful and accommodating the North Myrtle Beach rentals at Bay Watch Resort III have fully equipped kitchens with cookware, dishes and utensils. Have a hot breakfast without ever leaving your North Myrtle Beach condominium rental. There is usually a washer/dryer unit in these condominiums in North Myrtle Beach, SC and also a DVD player and high-speed Internet access. When you spend your North Myrtle Beach vacation at this North Myrtle Beach resort you will also be close to water parks, amusement rides, live entertainment theatres, Myrtle Beach golf courses, shopping and dining. Elliott Beach Rentals is not affiliated with onsite management or the HOA of Baywatch 3.